It is our time to shine this summer and there is no better way for us to show how much swag we have than with a pair of cute purple shoes. People have been wearing colorful shoes for centuries and while vibrant colors were once reserved for gentry, these days they are popular amongst all social classes. 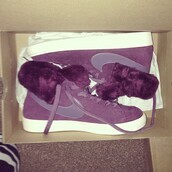 It takes a lot of confidence to rock purple shoes. They are a real statement look that demand attention. 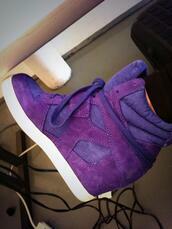 We like some of the ombre and neon purple sneakers we have seen on Tumblr. They look dope with skinny jeans or gray sweatpants. 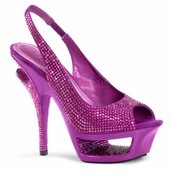 When it is time to party though we prefer patent purple heels with bows. They are too pretty for words.